Refer official Golfonline Website to view full Terms & Conditions. If you’re a professional golfer or just have an intense love for this bodacious gentleman’s game- golf, then GolfOnline is the place about which you should obviously know. It is a leading one-stop online solution for all types of golf-needs in the UK. 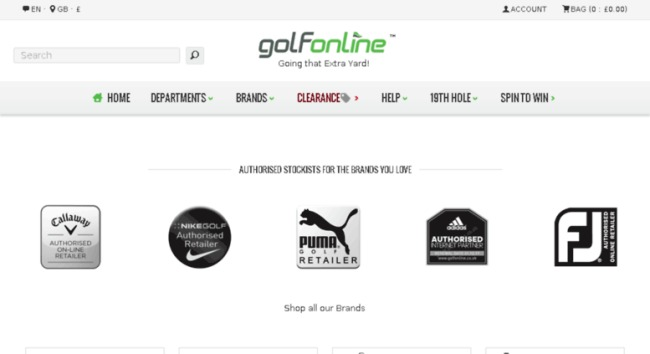 You can browse through golfonline.co.uk to explore the premium quality golf apparels, GolfOnline trolleys, bags, GolfOnline shoes, gloves, gadgets etc. from the top-notch brands like Nike Golf, Callaway, Adidas etc. And you don’t have to even pay a fortune for such high-end products, thanks to the GolfOnline discount codes! It’s because of such exciting attributes of the store, you can notice some awesome GolfOnline customer reviews all the time in Trustpilot. The grand GolfOnline clearance sale offering upto 70% discount. Various awesome online competitions to earn loyalty points from the store. Sign up to newsletter service to earn extra points. Exclusive Golf Online promo codes for facebook and twitter. You can not only save with the exhilarating GolfOnline vouchers but also can earn some extra pounds from the store! If you introduce a new customer to the company you can earn 500 points which is worth £5. You can simply ask the friend to enter your email address at the end of the first checkout. On doing that, some points will be automatically credited to you within 30 days after their first order is completed. You can refer upto a maximum of 10 friends and earn 5000 points which is worth £50 from the store. 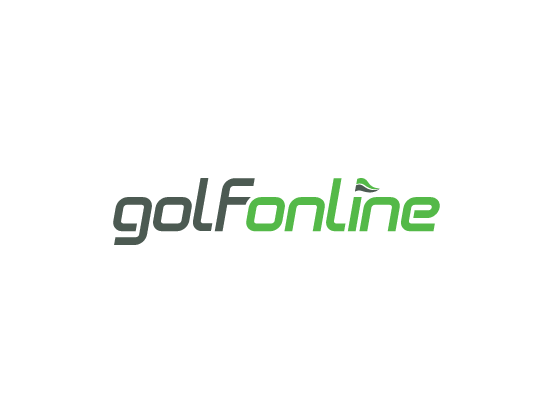 Why register as a GolfOnline member? When you register yourself as a member you can earn 200 loyalty points instantly. Special offers and GolfOnline codes for the tailored and registered members. Your shopping basket will be saved for 30 days online, so no need to reselect again and again. Earn loyalty points with each purchase. Share your thoughts on purchased products and earn points for doing so. Special perks on availing GolfOnline returns: Process the returnable orders quickly through online mode and track the progress. How to buy and send gift vouchers online? Log on to your registered GolfOnline account and go to the gift voucher section. Purchase one like the normal online purchase process. Your gift voucher account will be credited with the amount that you’ve chosen. Go to the ‘Send a gift voucher’ section of your account and enter the name and email of the recipient as well as the voucher value that you want to send. The amount you send will be deducted from your gift voucher account. The voucher will be delivered immediately to the recipient via email. It can be redeemed anytime. If you’re a professional golfer or just have an intense love for this bodacious gentleman’s game- golf, then GolfOnline is the place about which you should obviously know. It is a leading one-stop online solution for all types of golf-needs in the UK. The exciting GolfOnline voucher codes and the helpful Golf Online customer service team are not only the excellent features of the store. You’ll get much more! You can not only save with the exhilarating GolfOnline vouchers but also can earn some extra pounds from the store! If you introduce a new customer to the company you can earn 500 points which is worth £5.